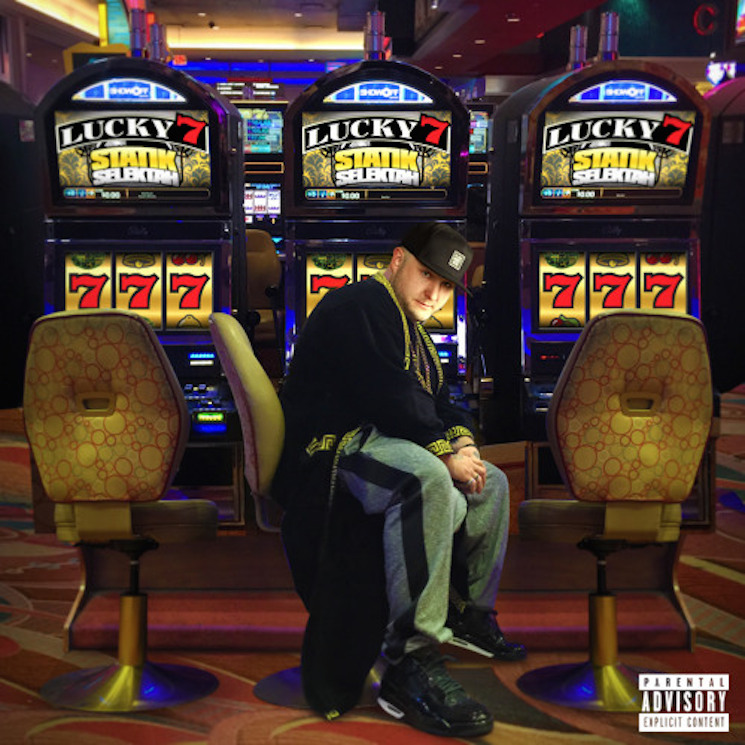 Like many of his previous efforts, Statik Selektah's seventh album Lucky 7 features the respected producer's hard-edged East Coast production backing a mixture of veteran and up and coming MCs. Given his tour duties for Joey Bada$$ in recent years, it's no surprise that the prolific MC shows up on three tracks, while Pro Era cohorts CJ Fly and Kirk Knight show up elsewhere on the record. Lyrically, it's evident the death of crew member Capital Steez still weighs heavily on this collective, and Joey particularly shines on the Big K.R.I.T.-assisted "In the Wind." Other MCs on multiple tracks include Your Old Droog, Action Bronson and Sean Price. Given the variety of MCs featured, there's a loose thematic unity to most of the tracks on the album, but some are executed better than others. Highlights include Rapsody, fresh off her feature on Kendrick Lamar's To Pimp A Butterfly, who kicks off proceedings with "Another Level," and Royce da 5'9, whose contribution, "Crystal Clear," could have been an outtake from last year's PRhyme album and is as transparent a look into his conscience as the title suggests.